Talia collection is made from resin, this stylish wall plate adds simple elegance to your dicor in Noce finish. Baker unfinished wood offers you the convenience of staining/painting to match your decor, adding an alternative touch to any accessory in your home. 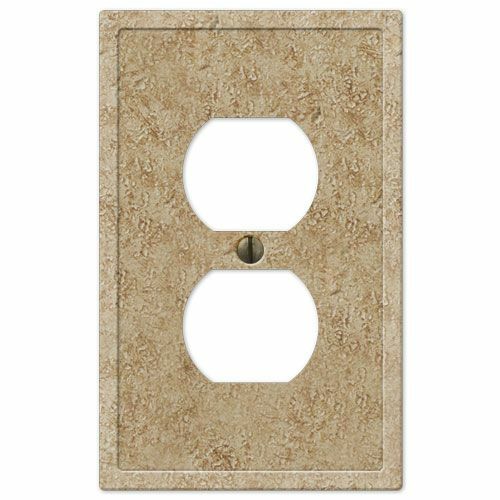 The Bethany collection of wall plates features a contemporary design. It is made out of cast zinc in black finish. Devon Collection in white made from stamped steel, this stylish wall plate adds simple elegance to your dicor. Texture Stone Resin Noce D Talia collection is made from resin, this stylish wall plate adds simple elegance to your dicor in Noce finish.